Every day you stay with The Bushcamp Company, in one of our Bushcamps or Mfuwe Lodge, you are contributing to our Conservation, Education, and Community projects! Each of our camps are set in glorious surroundings and has its own distinct character. A maximum of just eight guests can be accommodated at each camp, ensuring that your stay is a peaceful one and tailored to your personal needs. Did You Know is now available in a beautiful coffee table book. The Did You Know App for your phone. Available on iOS and Android. Did You Know... The South Luangwa National Park now has 469 species of bird recorded within its boundaries? 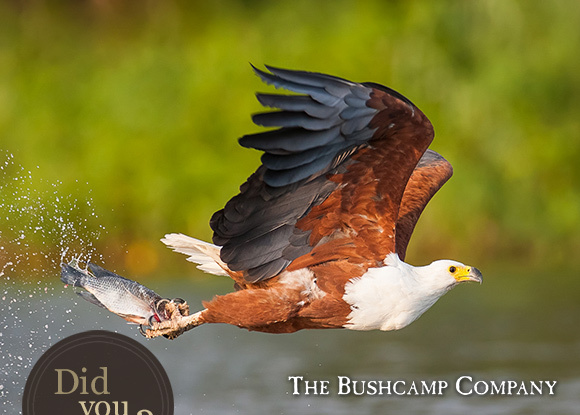 Including Zambia's national bird..the African Fish Eagle. True or False... 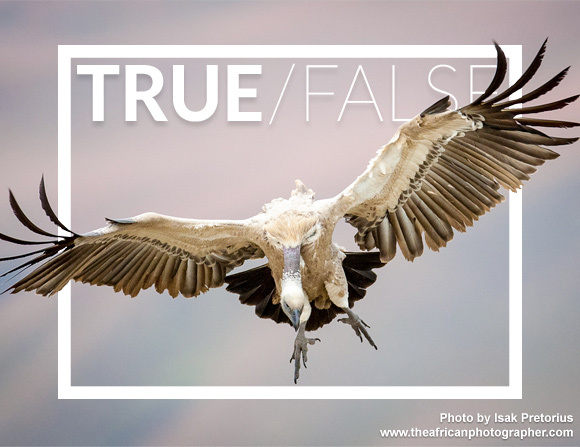 The White-backed Vulture is Africa’s highest flying bird. Thanks to you all, once again, for a really fab time! You guys never fail! We all just loved ever minute THANK YOU. Great ambiance, great walks! Great guides, fast service, great food. The place to also recommend for friends! Great stay and great wildlife! To receive our fun weekly facts about Africa's incredible wildlife, subscribe to our popular Did You Know newsletter.